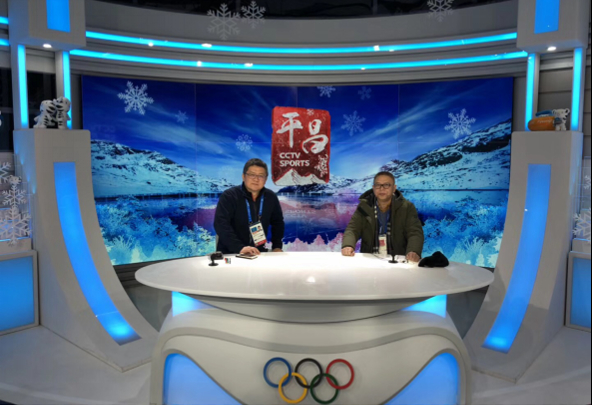 For its coverage of the 2018 Winter Olympics (冬奥会), China’s CCTV-5 (央视体育) has created a flowing studio in the International Broadcast Centre that follows the lines of the various mountains around PyeongChang. 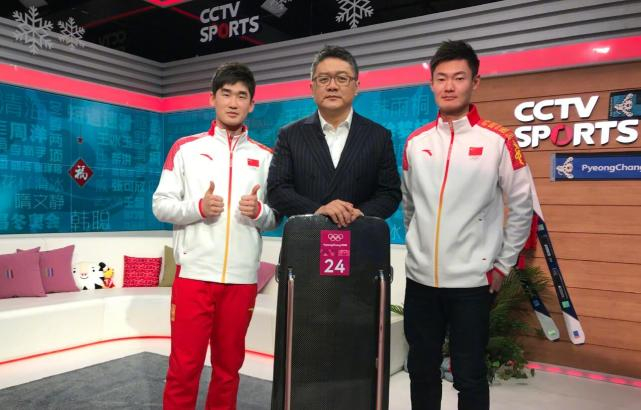 Ahead of the official start of the games, CCTV-5 rebranded as CCTV Olympics on February 1. The anchor area, which is flanked by four large curved pillars reminiscent of ramps from skiing and snowboarding events at the Olympics, places a curving, layered anchor desk in front of a large video wall. Grey slatted paneling, a recurring design element, divides the anchor area from the interview space, which includes a large couch and coffee table for athlete reaction and debriefs with correspondents. The interview area is enveloped by a seamless video wall which features scenes of snowy mountains and event branding. To the far right, slatted wood with skis and faux plants provide a bit of warmth to the design, along with CCTV Sports branding. 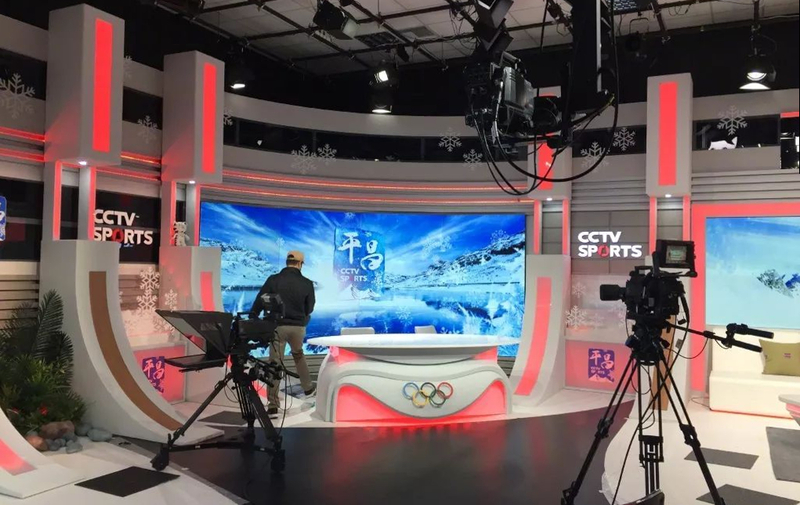 Notably, this is the first CCTV Olympic studio designed in-house, as the previous in Rio, Sochi and Beijing were handled by Australian design firms.